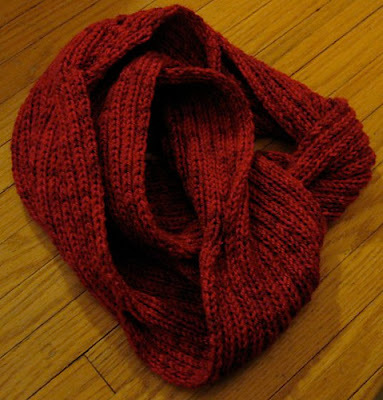 Totally Awesome Because: You know, I sometimes feel a little sorry for non knitters. 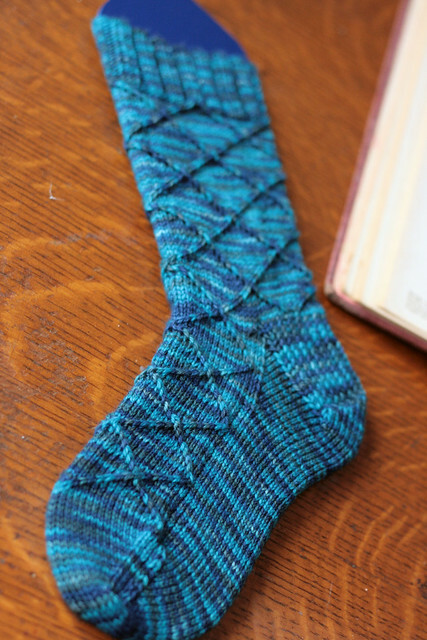 Non knitters don't know how awesome it is to have lace socks. 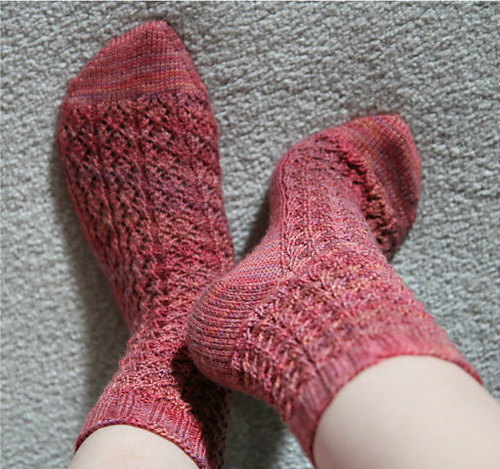 Especially handmade lace socks that are done up in a gorgeous colour like Sunset. 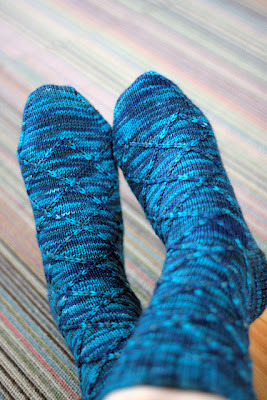 Jen's socks are awesome- they are really what great hand knit socks should be- a work of art! Her project page with lots more photos can be found here. Every once in a while it's really nice to take a day and completely tune out. Sure, I've popped in to write a quick blog post, but other than this I'll be spending the day curled up on the sofa with my pup, reading a book from start to finish. Weekends are so often spent running errands and doing projects that you're too busy to do during the week, taking a day off from everything is such a sweet luxury. 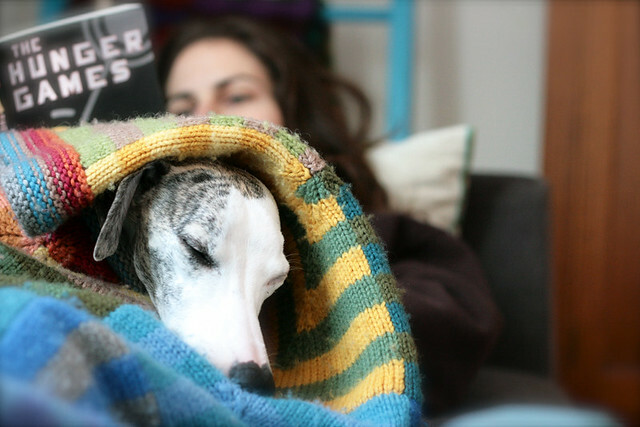 Chris is drawing, I'm reading, Stella is enjoying having some company on the sofa, life is good. Hope you all set a little time aside to be lazy today! 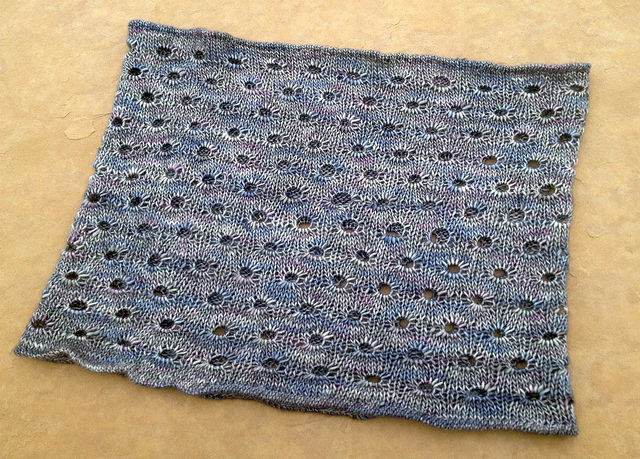 I'm a little bit behind on my January KAL projects. 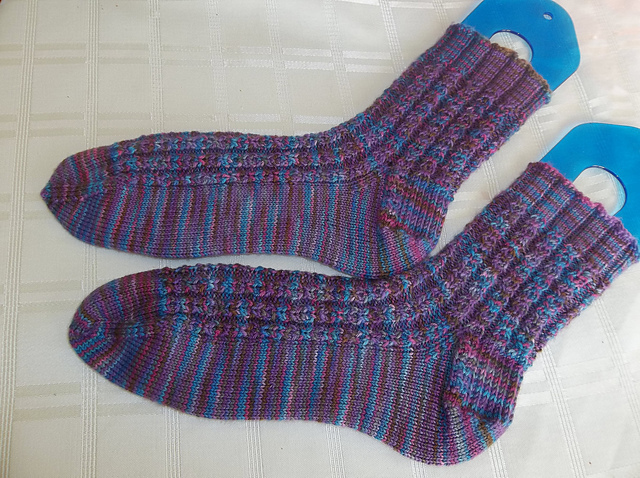 I had wanted to knit a pair of socks and a Sunnyside Baby sweater. The socks are finished, but the sweater hasn't even been cast on yet. I've still got a week left, I think I can do it! 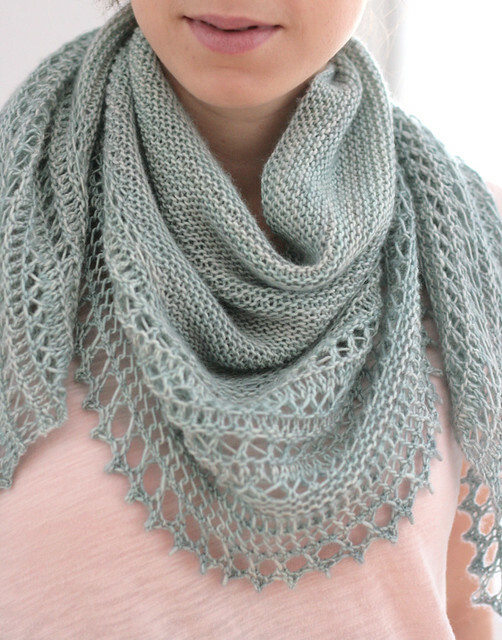 I'm still smitten with this pattern, sure there are a lot of crossed cables, but the resulting diamond shape relief is worth it. 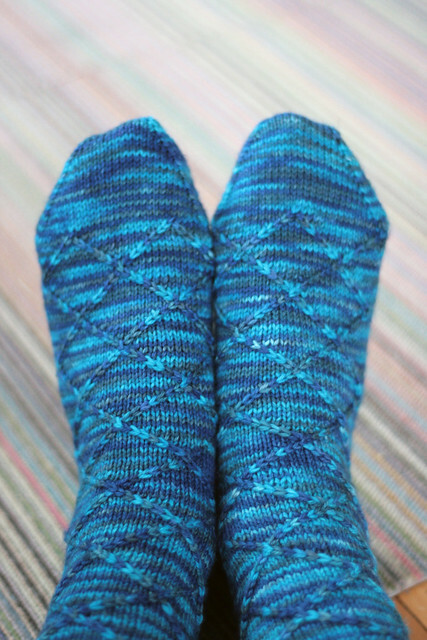 Considering this is my own pattern you'd think I'd be able to get it right... the socks are the same size, but I centered the heel 8 sts over on the second sock and ended up with the diamonds lining up differently on the toe. Oops! 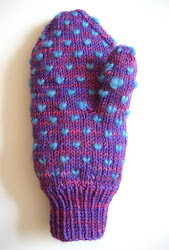 Nobody would really notice, I sometimes like little mistakes like this that remind me that these cherished knitted items really are one of a kind! Knit in TFA Purple Label Cashmere sock yarn in Deep Sea. Ravelry project page. 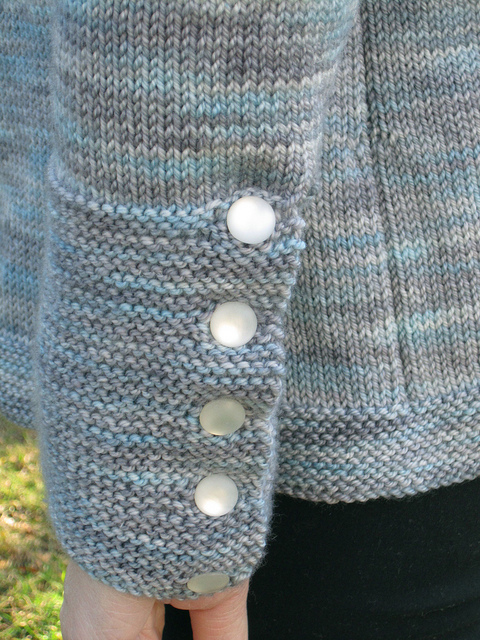 Totally Awesome Because: Classic, timeless cardigans like this deserve a classic, timeless colour like Sand, which is the perfect balance between grey and cream and pretty much goes with everything. 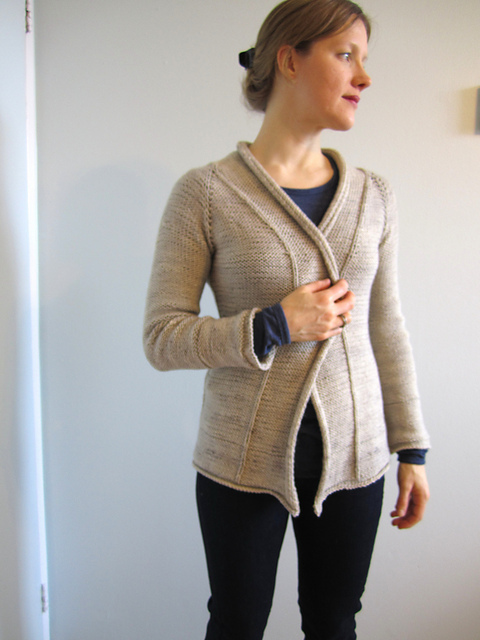 I love everything Tammy chose to do with this knit- the effortless styling just looks so perfect when you've got a gorgeous, comfy cardigan like this to wear during the chilly months. I want one now, too! Her project page can be found here. 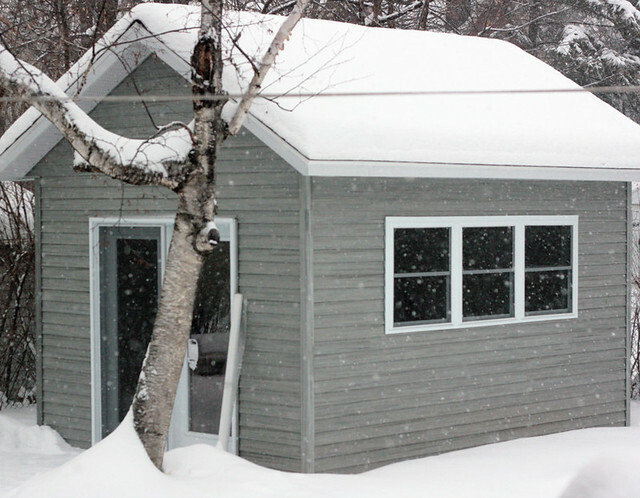 I haven't blogged much about our backyard studio. I'm really eager to share it with you all, but it's just not quite ready yet. I'm learning that a lot of renovation projects seem to work this way, you get 99% of the project done on time, and then linger for weeks or even months over the last 1%. Our studio is just missing a few final touches and then it will be ready for us to move in. I'm really looking forward to it. 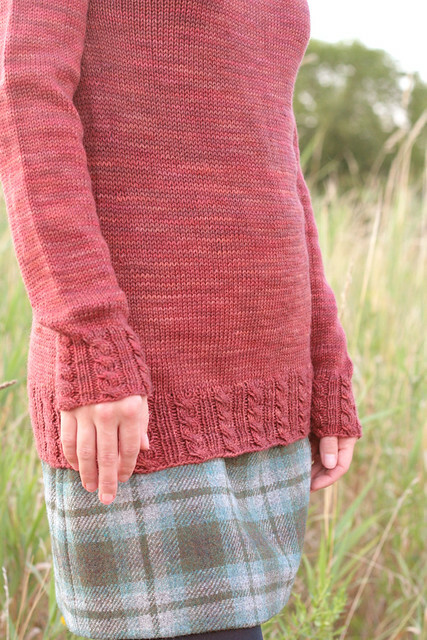 It's so impressive to see all these beautiful knits already! I've got to get mine finished as well today is the halfway point, only two more weeks to go! Yup, these socks are pretty awesome. I am really glad I got the urge to drop everything and knit these last week. Sure, there were a lot of ends to weave in, but I don't mind sewing in ends, it's just another type of needlework that I get to enjoy. And in the case of these socks, it was deffinitely worth the effort. Knit in TFA Yellow Label DK, these knit up really quickly on 3.25mm dpn's. I knit them top down, I cast on 56 sts, and then decreased down to 48 for the foot because though I am fine with a slightly slouchy leg, I wanted a snug fit throughout the foot. 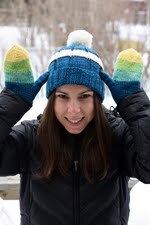 I knit in stripes and super simple fair isle motifs as the mood struck me. 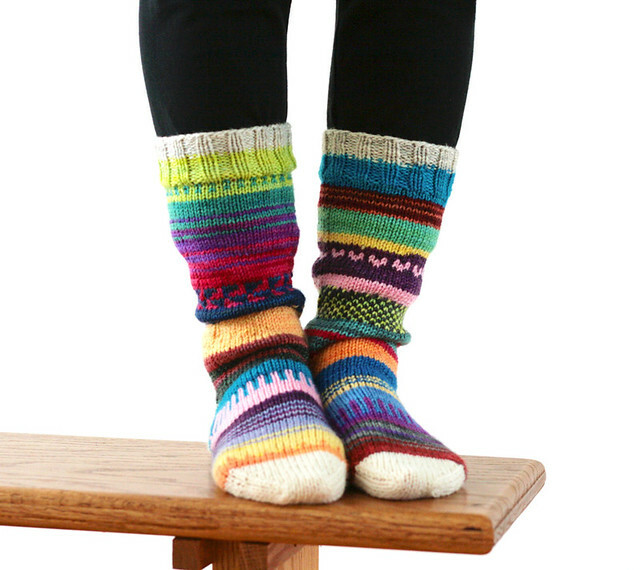 I had no rules, I just tried to use as many colours as possible and make the second sock as bright and fun as the first. These socks are probably too big to wear with my winter boots on a daily basis, but I'm sure they would come in handy if I were to spend the day outdoors tobogganing or cross country skiing. For now I'm just wearing them around the house and am very, very happy everytime look down at my feet and see these colourful gems. Sometimes I just get an urge to cast on for something awesome and crazy right this second. 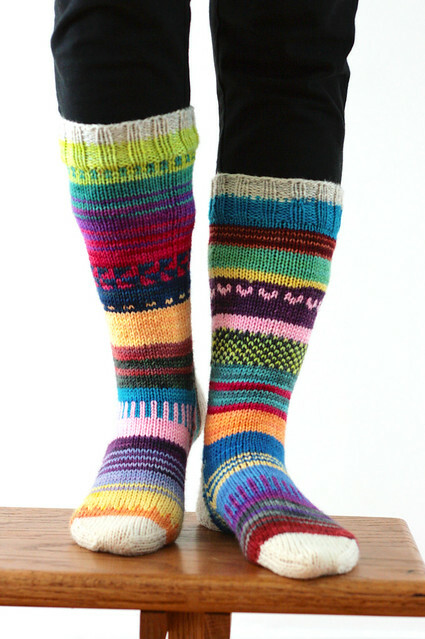 I have other WIP's that are also awesome, but for some reason last weekend I was overcome with the desire to knit myself a pair of crazy, funky, slouchy, cozy heavy socks. 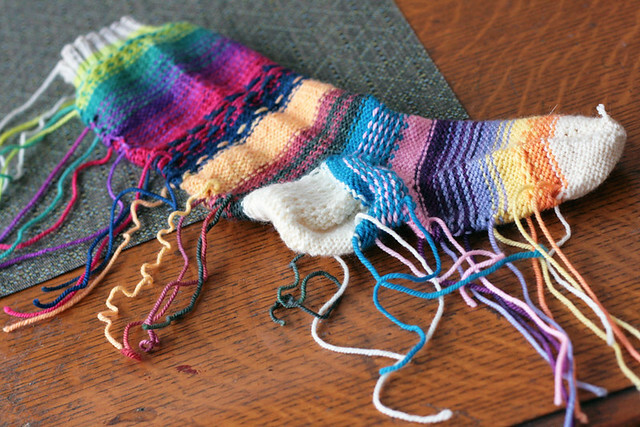 I'm using every colour I have in my leftover dk scraps bin, and I'm knitting whatever pattern I feel like. Sometimes just stripes, sometimes a little simple fair isle if the mood strikes. This sock makes me very happy. 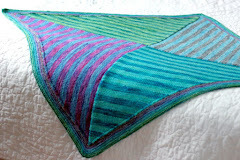 This is my first official FO of 2012! 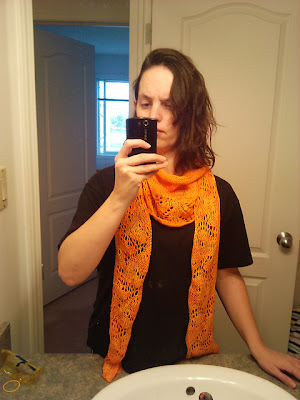 It would have been my last official FO of 2011, but I made a stupid mistake on the set up row of the border and realized on the 31st of December that I had to rip and re-knit the entire border, so I spent the whole day on January 1st doing just that. And now it's finished, and now it's perfect! This is the Henslowe Shawl pattern by my new fave Beth Kling knit in TFA Red Label Cashmere Silk Singles in the Frost colourway. 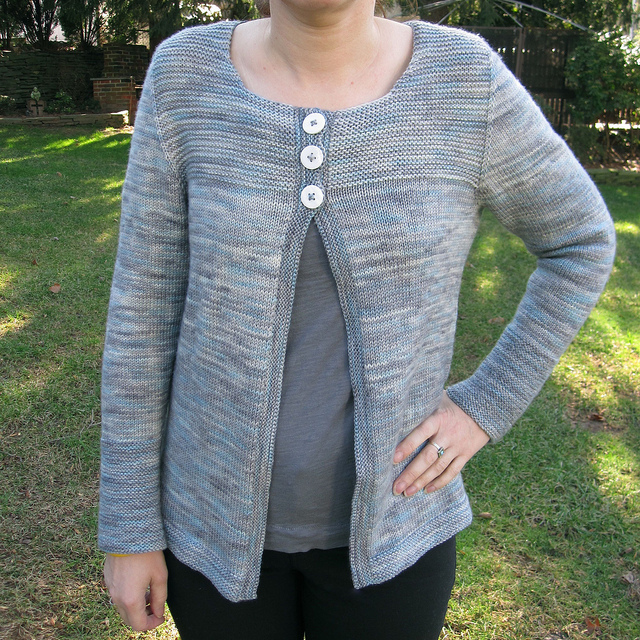 Frost was last years inaugural TFA Year In Colour Club colourway and I totally love it. It's soft and grey and blue and though I think that this version might be even softer and greyer than the original I love it all the same. With a little more practice to make sure that I can get it just I way I want it in all the TFA yarn bases, this colourway is well on it's way to making it into the TFA collection full time. 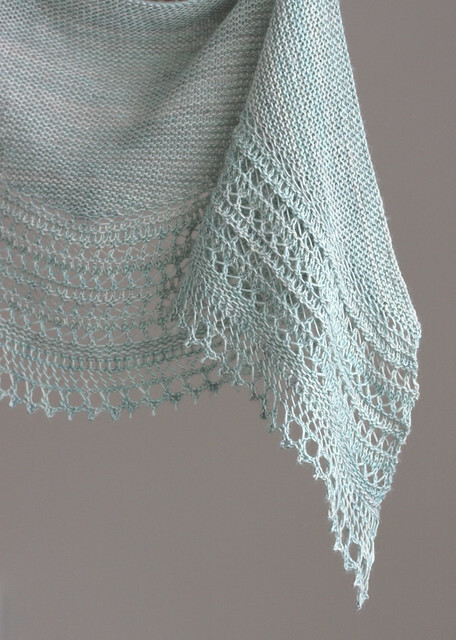 This shawl is a really nice balance of interesting and simple. The construction is really neat, but none of the steps or stitches are overly complicated or require too much focus. 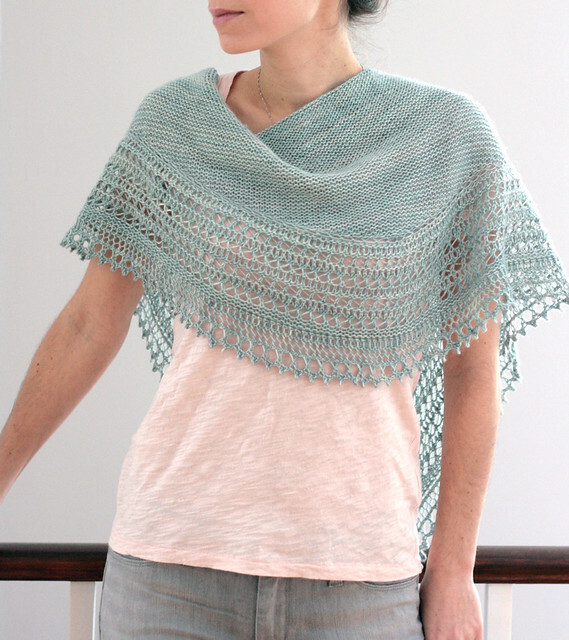 The garter stitch body stands up really nicely and is the perfect textural pairing for the light and airy lace. 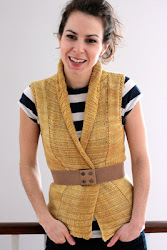 It's also completely reversible and let me tell you, in this yarn... it's like buttah! I'm obsessed. Totally Awesome Because: This is a really gorgeous hat, the kind that people ask you 'where did you get that?' when you wear it, thanks to that amazing flower. 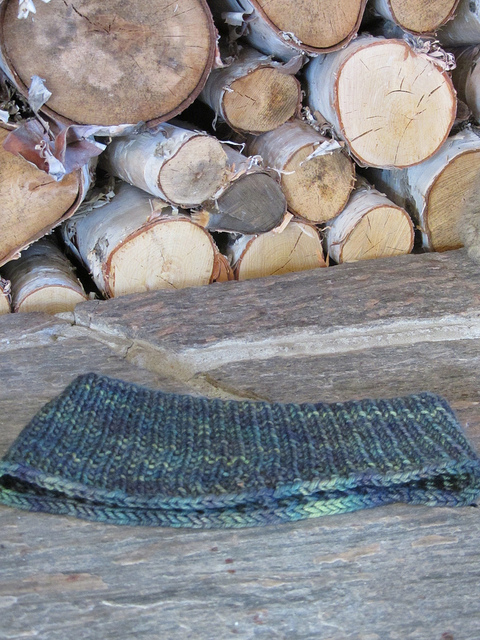 I think the colour choice is spot on for this hat- a beautifully rich colour is perfect for winter. I want one in the same colour now! Project page can be found here. 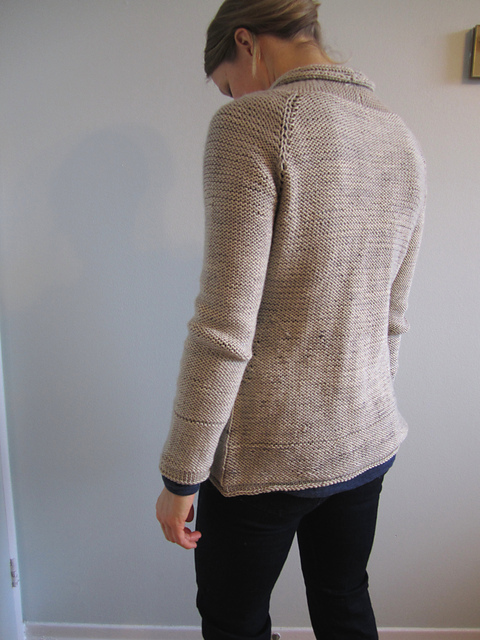 Some time before Christmas I knit a second (but certainly not my last) Gramps cardigan. I love this wee little sweater more than I can say! It's still missing buttons, and it hasn't been blocked, but I'll to all that eventually. The photo doesn't really do the colourway justice. I used leftovers from Chris' Brownstone Pullover, the blue/gray is a bit lighter and softer in real life. Love. This. So. Much. Raveled with a few more details and mods here. Wishing everyone a great weekend. 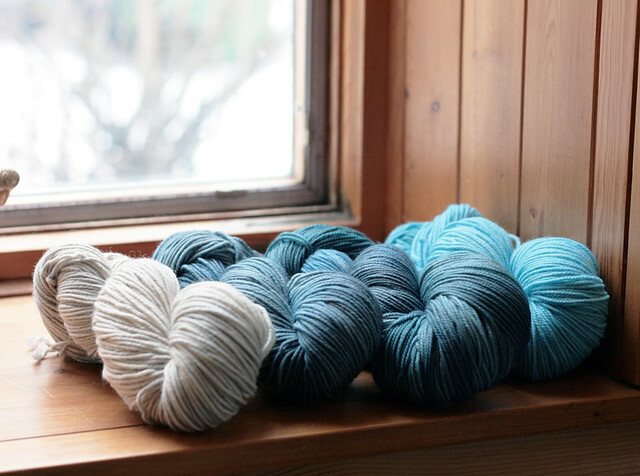 I snapped this photo of a few skeins of yarn sitting on a window ledge in my office the other day. The soft shades of grey and blue looked so soothing and lovely in the winter light. 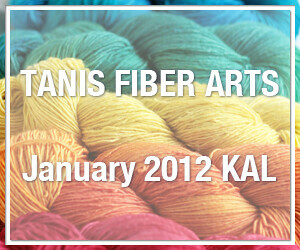 At the stroke of midnight on January 1st we officially kicked off the first Tanis Fiber Arts KAL! 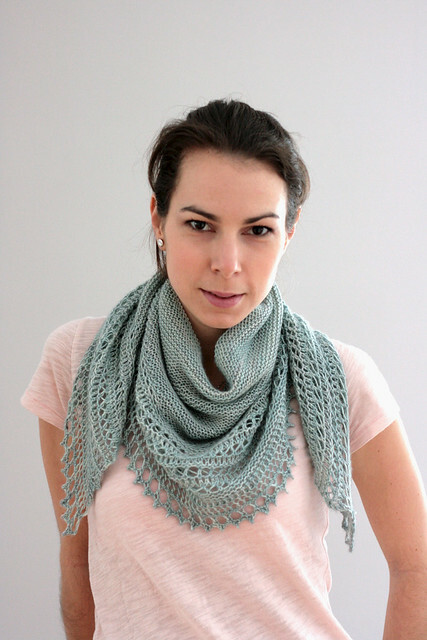 It's not too late to sign up, just join the Ravelry group, pick a project that you plan to knit in TFA yarn and sign up in the appropriate group. 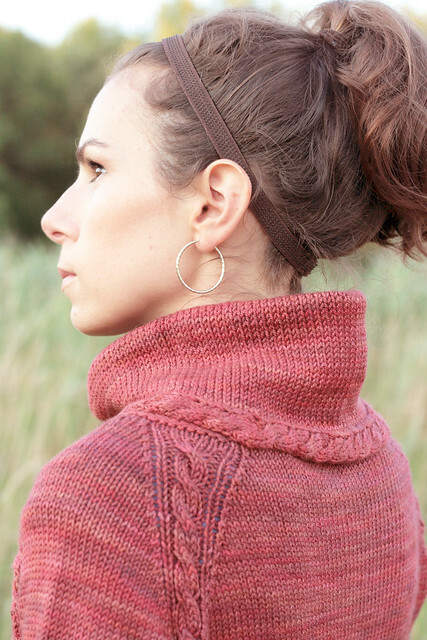 I'm using this KAL as an incentive to knit some of my own patterns. 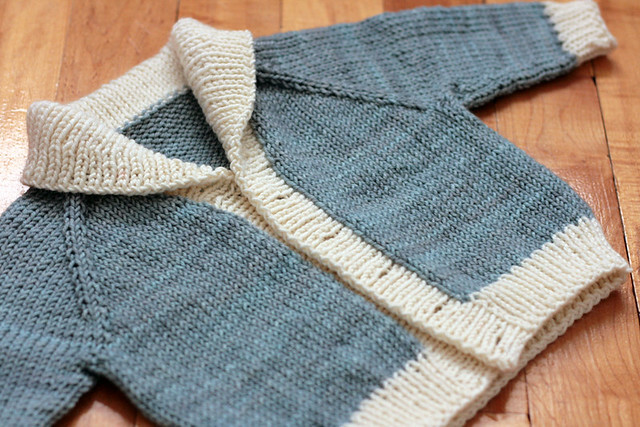 I've already finished one Business Casual sock, knit in Purple Label in the Deep Sea colourway, and I hope to knit at least one Sunnyside baby sweater as well. Since the projects I've chosen are small, I'm giving myself an added mini challenge of finishing one item per week (one sock counts as one item, so I've got two weeks for the pair of socks). So hopefully I'll have at least 4 FO's by the end of the month! I didn't do an end of year/beginning of the new year wrap up, I always find these big transitional moments a bit overwhelming, but in a good way! I feel the same way in the Spring when I'm all motivated to do some spring cleaning and organize my life, and then in the Fall when I always feel like the year really begins (I guess I still go by the school year calender in my head.) The idea of a clean slate and a fresh start is appealing, and I do like to set goals for myself. I'm not really one for big resolutions, I make the same simple ones every year, to try and be better and make the most of every opportunity in work and in life. I have a good feeling about 2012, I'm not sure why, the number just has a good ring to it. I felt the same way about 1996, nothing momentous happened for me in '96, but I always think of it as having been a really good year... 2012 feels really balanced, I think that's the key. 2011 was a great year, I knit a lot, designed more than I ever knew I would, and managed to get through my first very exciting year of the TFA Year in Colour Club. Though I didn't make any big new years resolutions, I do have a secret list of goals that I hope to achieve in 2012, and I think that 2011 has set me up very nicely to make it happen. 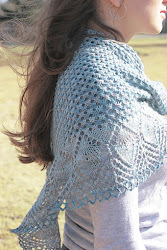 Totally Awesome Because: Dove is no ordinary shade of grey- with the hints of blues and purples, it has a lot of dimension and is perfect for a lacy scarf like this. I love Jennifer's choice of pattern- the scarf looks so elegant and timeless. And I'm a little envious of all her lovely, snow too!